We don't kill the bees, we move them to our local honey producing hives. Bees are important for our ecology and responsible for pollinating the crops that provide our food, but that does not change the fact that bees on your property can be inconvenient and even dangerous for some. 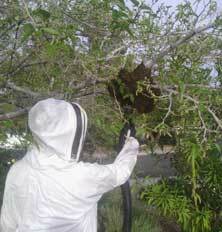 Beehive and bee removal can sound like a daunting task, but it does not have to be. 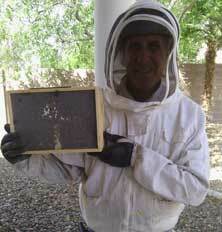 Tom's Bee Hives of Las Vegas, Nevada, has extensive experience with all things bee-related.  Master beekeeper Tom can successfully help you remove any bees or beehives that may be causing you undue worry or agitation. Often, bees will construct their hives in out of the way places. The obscure placement of the hives requires identifying the exact location before successful removal can take place. One common location is in the walls of houses. This can pose health risks and damage the actual structure of the property. A beehive can contain up to 80 pounds of honey, all of which has the potential to ruin your walls and ceilings. Another common location is your home's chimney, which is very appealing to bees on the hunt for new hive locations. If your chimney is missing a protective screen, the chances of bees building a hive in it are significantly increased. If you need bee removal in the Las Vegas area and would prefer to have the bees safely transferred versus exterminated, Tom's Bee Hives is the right choice. We have a strong respect for the hard-working bees of Las Vegas who contribute to our vegetation and food supply (not to mention honey! ), and consequently make it a priority to help preserve them. Tom helps to relocate the bees to a safe place far from you and your home or business while ensuring they are still able to colonize and pollinate. 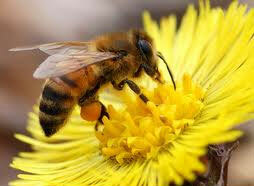 Bees are vital for the continuation of our food supply and the survival of other plant life. These tireless workers have the important task of pollination, which allows plants to bear fruit, produce, and nuts. With bee populations already at risk, Tom's Bee Hive is serious about the humane removal and transfer of any bees that need to be removed from the home. 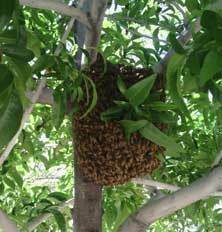 If you live in the Las Vegas area, and have bees that need to be removed, you will want an experienced professional who will do the job safely and effectively. 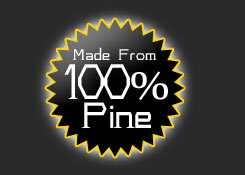 Call Tom at Tom's Bee Hives today.